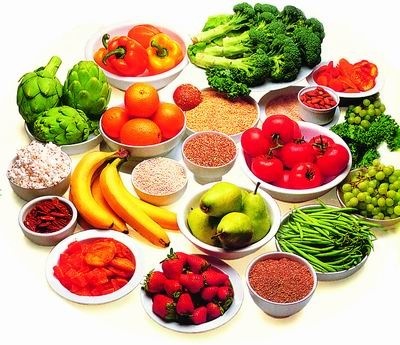 Fitness Blog Why is fibre important? Fibre is an important part of a healthy diet. A diet high in fibre has many health benefits. It can help prevent diabetes, heart disease, weight gain , some cancers , and can also improve digestive health. Most people don’t get enough fibre though. The national average is about 13g. You should aim for at least 18g a day. However, if you have a digestive disorder such as IBS you may need to modify the type and amount of fibre in your diet in accordance with your symptoms. Your GP or a dietician will be able to advise you further about this. Soluble fibre can be digested by your body. It may help reduce the amount of cholesterol in your blood. If you are constipated, gradually increasing sources of soluble fibre – such as veggies and fruits , oats and golden linseeds – can help soften your stools and make them easier to pass. Insoluble fibre can’t be digested. It passes through your gut without being broken down and helps other foods move through your digestive system more easily. Insoluble fibre keeps your bowels healthy and helps prevent digestive problems. If you have diaahorea, you should limit the amount of insoluble fibre in your diet. If you need to increase your fibre intake, it’s important that you do so gradually. A sudden increase may make you produce more wind ,leave you feeling bloated and cause stomach cramps. It’s also important to make sure you drink plenty of fluid. You should drink approximately 2 – 3 litres of fluid a day, or more while exercising..